$2,930,569 USD total funds raised – 5756% funded, on #Indiegogo. 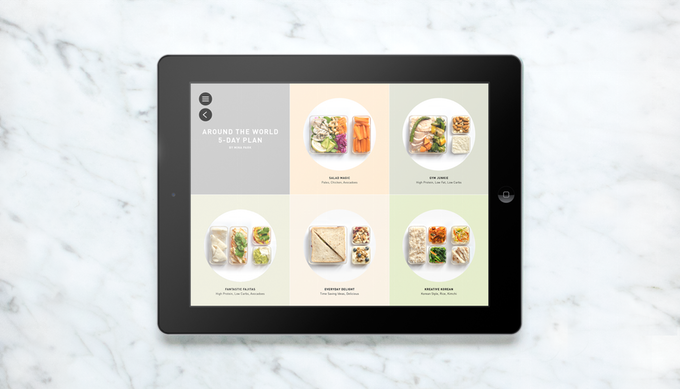 An intelligently designed, beautifully crafted lunchbox and smart lunch recipe app. 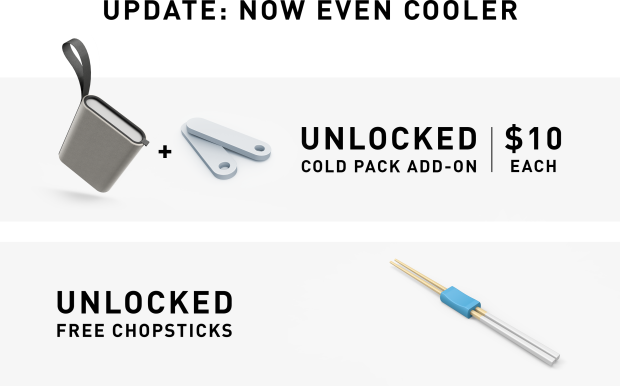 *Free chopsticks are included with every Prepd PackLunchtime: It’s the most difficult time of the day to control what you eat. 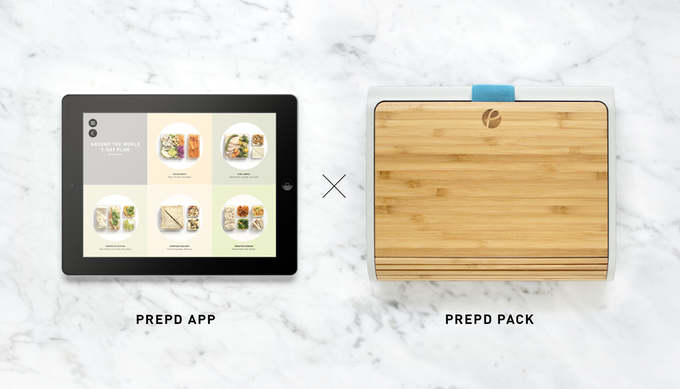 From planning and preparing, to tracking the nutritional value of your lunches, together with our app, Prepd Pack makes the whole process easier and more enjoyable. 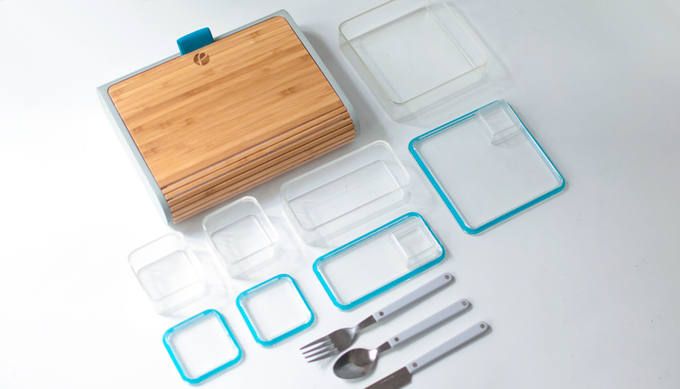 Prepd Pack consists of a beautifully designed case, a premium modular system of containers and smart magnetic cutlery. 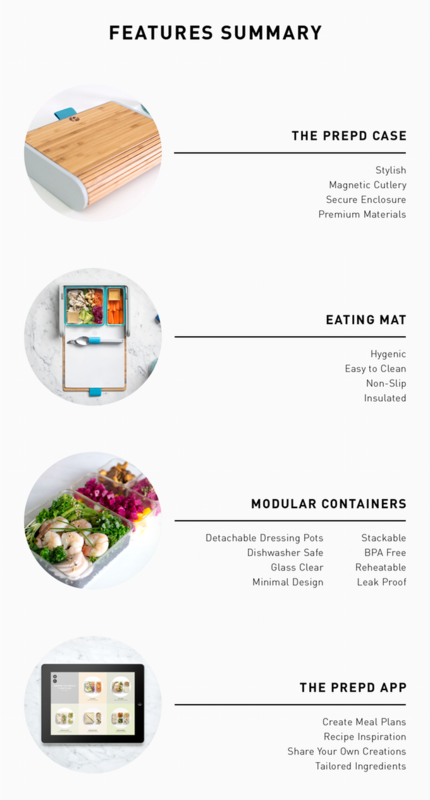 At the core of this new system are the removable modular containers, which can be combined in multiple configurations within the Prepd Pack to suit your individual daily needs. The containers are food safe, completely leak proof and made from the highest quality materials. 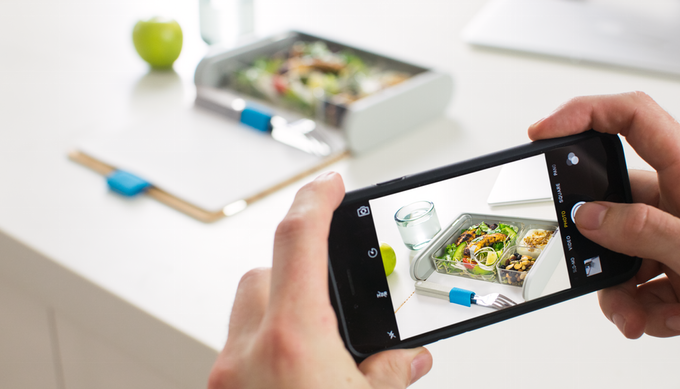 Our app makes it simple to plan and prepare your lunches for the week ahead. We have partnered with professional nutritionists and chefs to create an evolving range of recipes tailored to fit a broad range of diet types and health goals. 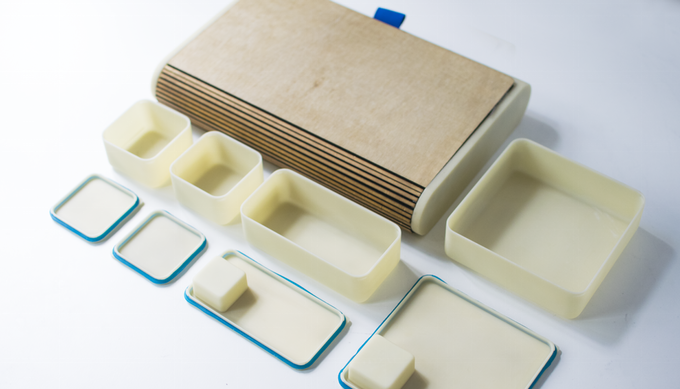 All the recipes are designed to fill the modular containers perfectly, making meal prep easier, more efficient and eliminating food waste in the process. Our app also takes care of shopping lists so you’ll know exactly what to buy when you get to the store. 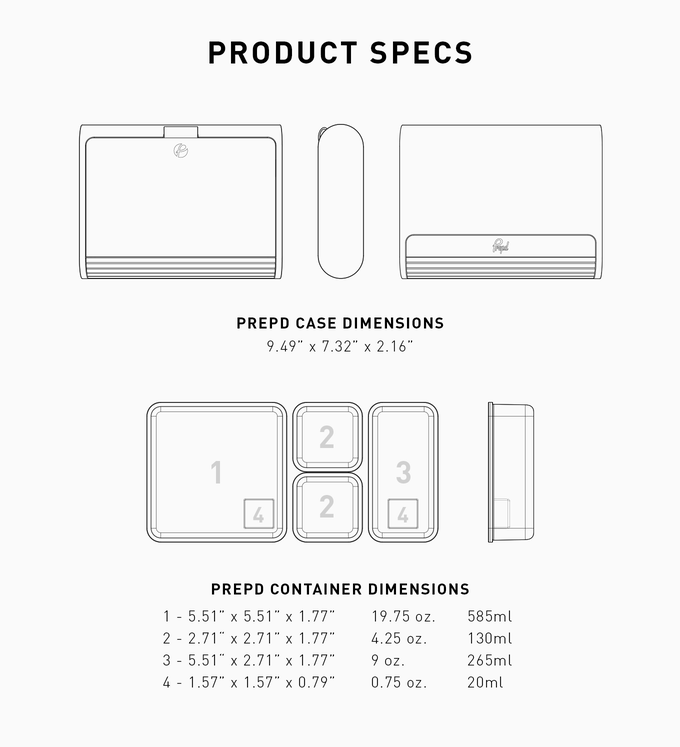 The Prepd app will be available for both Android and iOS smartphones and tablets and free for all backers. No more stressing over calorie counting – the Prepd App does it for you without any extra effort. When you follow our recipes to fill your Prepd Pack (and yourself) you’ll have instant access to accurate nutritional information. The data is stored within the app and gives you meaningful feedback about your diet. The app also connects with Health Kit on iOS, allowing you to view all your health and fitness information in the one place. 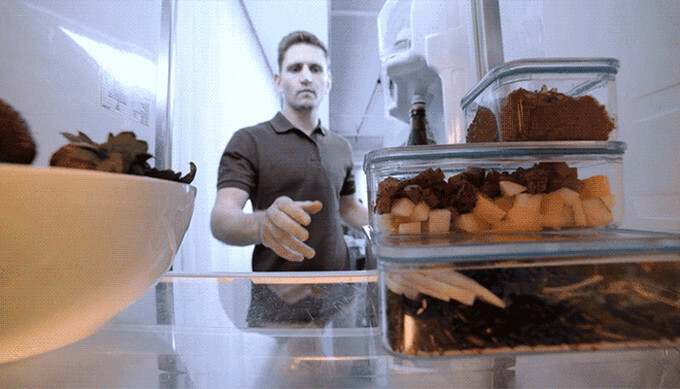 The app also contains prep friendly meal plans, making it efficient for you to batch cook for multiple days at a time, so you can prepare a week’s worth of lunches in under an hour. These plans have been developed by experienced ‘meal preppers’ with variation in mind, so you’ll have exciting and uniquely different meals everyday. The modular containers nest perfectly atop of one another making fridge storage neat and organised, they are glass clear so you can easily see whats inside. 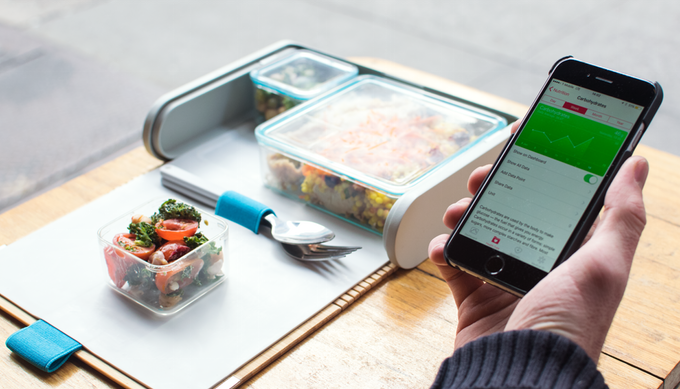 By ordering multiple sets of containers you can store meals for days at a time, so that your lunch is ready to go when you are. More time to enjoy your morning coffee. For us, it’s all about bringing people together who are passionate about food and sharing ideas to create better lunches. When you join the community you get your own profile page, where you can save any recipes you might like to try and curate your own meal plans. You can even connect with like-minded community members to share tips and tricks. 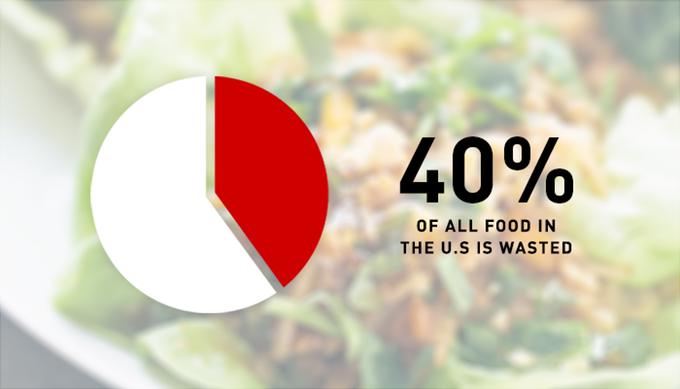 Plastic packaging is a huge environmental problem.Unlike takeout, using the Prepd Pack is completely waste-free. 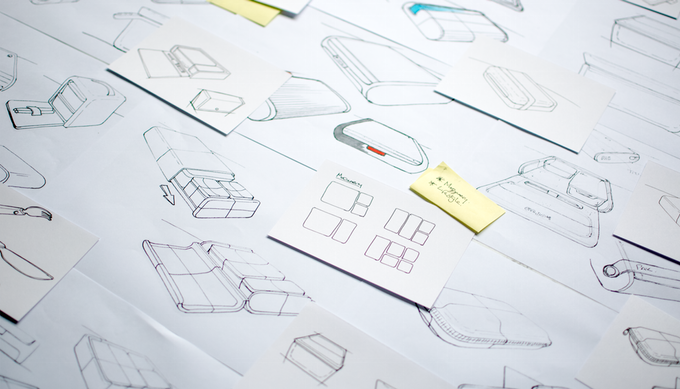 We are passionate about driving this eco-friendly mindset even further, which is why we’ve chosen to manufacture the Prepd Pack from high quality recycled and sustainable materials. 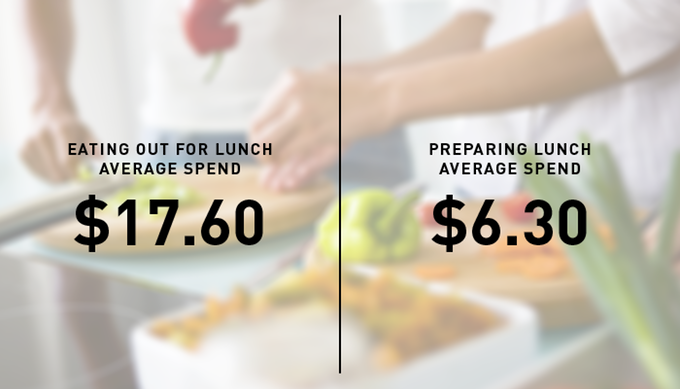 Preparing your own lunch also means you can control exactly how much you want to eat, cutting down on unnecessary food waste. The Prepd Sleeve will insulate your Prepd Pack with a layer of premium fabric-lined Neoprene (a flexible, heat- and wear-resistant material, used for making wetsuits) — providing extra protection and ensuring your food’s temperature stays consistent during longer commutes. 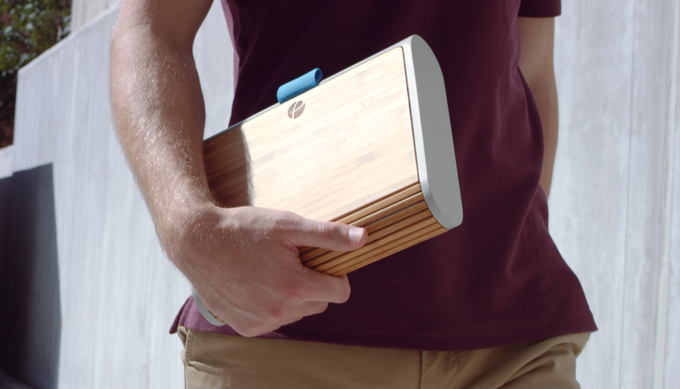 The Sleeve’s stylish strap also allows you to carry the Prepd Pack in one hand, effortlessly and securely. Personalize your Prepd Pack’s color, choose either Stone Grey, Charcoal Black, or Prepd Blue. Freeze the cold packs overnight and clip them inside your Prepd Pack to keep your food cool and fresh for even longer. Seamless and unobtrusive, the cold packs easily dock along both sides of the Prepd Pack without taking up any usable space. This project has been years in the making, we have meticulously considered every detail of the Prepd Pack functionally and aesthetically. 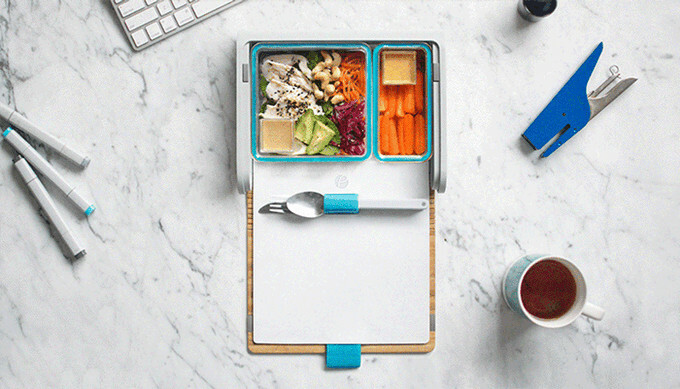 Working alongside nutritionists and ‘meal-preppers’ we have created a solution that removes the barriers that usually get in the way of you taking your lunch to work. 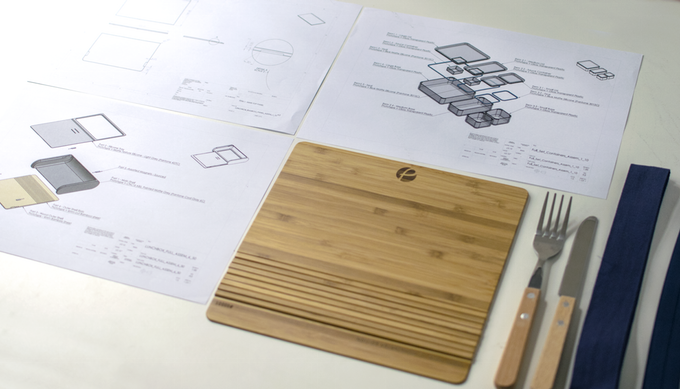 We have engineered every element so you can trust that your food is secure and sealed, without compromising the pure and modern aesthetic. We are really excited about bringing the Prepd app to life. 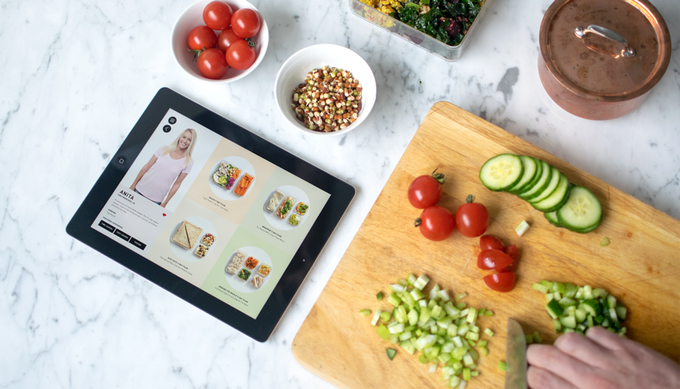 More than a simple recipe app we really believe that it can help our backers take back control of lunchtime, hit their health goals and stick to their resolutions. We have designed the app with a clean easy to navigate UI and cross device functionality so you can plan your meals on your iPad and get your shopping lists on your iPhone, we are also developing it for Android devices.